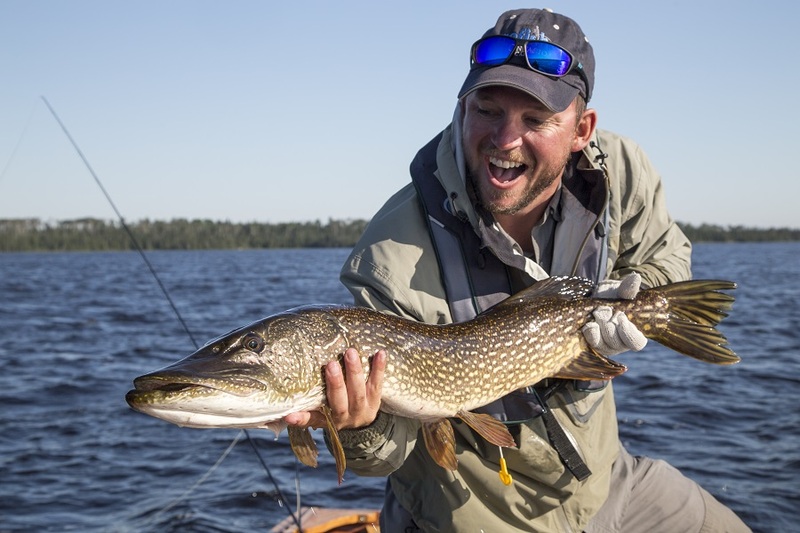 For fly fishers who love to catch BIG pike on a fly, Brace Lake Outfitters is the place you want to go. The lake system has huge pike and walleye, which has made it famous with all types of anglers. The fly-in facility has great boats, season-long fishing access and wonderful accommodations. You’ll need a combination of big and medium sized flies for the pike. Specifically blue/white, green/yellow and all white flies in 6 to 10 inch lengths are perfect for the fish on this lake system. Kyle and his wife Teri are experts at taking care of anglers. Whether it’s large groups, families or couples, they can accommodate everyone.